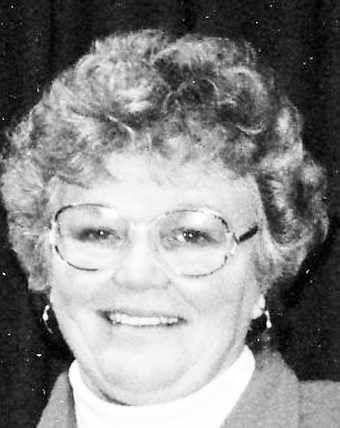 Lucy Arlene Reed, 74, died Feb. 5, 2019, at her home in Salida. She was born Aug. 10, 1944, in Alamosa, to Alma and Lucy Kathryn Hayes. In 1962 she graduated from La Jara High School. She married Calvin Birl Reed on Aug. 20, 1966. They later went to the Manti Temple on June 9, 1972. Family members said that Mrs. Reed was a beloved member of the community and had a positive impact on many people’s lives. She enjoyed serving others and often put their needs ahead of her own. Mrs. Reed baby-sat for the children of many local teachers, eventually becoming a teacher’s aide at Longfellow Elementary School. She worked on the playground, in the lunchroom, in classrooms and special education in the Salida School District for many years. Family members said she enjoyed being a homemaker and had a talent for cooking, sewing and gardening. She loved spending time with family and took pride in being a daughter, mother and grandmother. Mrs. Reed was a faithful member of the Church of Jesus Christ of Latter-Day Saints serving in Relief Society, Primary and Nursery, as well as a visiting teacher for many years. She was preceded in death by her husband and best friend, Calvin; her parents; sisters Norma Cole, Mina Christensen, and Alydia Hayes; brother, Leon Sivyer; brothers-in-law Woodrow Cole, Keit Cole, James Gordon Reed, Larry N. Sowards, and sister-in-law Patricia Sivyer. She is survived by daughters Christi Reed and Tammy Reed, both of Sandy, Utah; son Ryan Reed; three grandchildren, Dillon, Jordan, and Morgan all of Salida; sisters Sara Joy Cole, Luella (Buddy) Skidmore, Arletta (Daryl) Dickman; brothers-in-law Don Christensen, Leon (Kathy), Ross (Donna), and Van (Claire) Reed; sisters-in-law Sharon Sowards, LaVerne (Richard) Williams, Beverly (Bill) Powell, and Jeanne Reed and numerous nieces and nephews. Funeral services will be held at 11 a.m. Friday, Feb. 15, at the Church of Jesus Christ of Latter-Day Saints, with internment to follow at Fairview cemetery. Family and friends are invited to attend a viewing from 6-8 p.m. Feb. 14 at Lewis & Glenn Funeral Home. Arrangements were with Lewis & Glenn Funeral Home. Online condolences may be sent at lewisandglenn.com.